Haga’s First Theorem with free-form paper-folding. 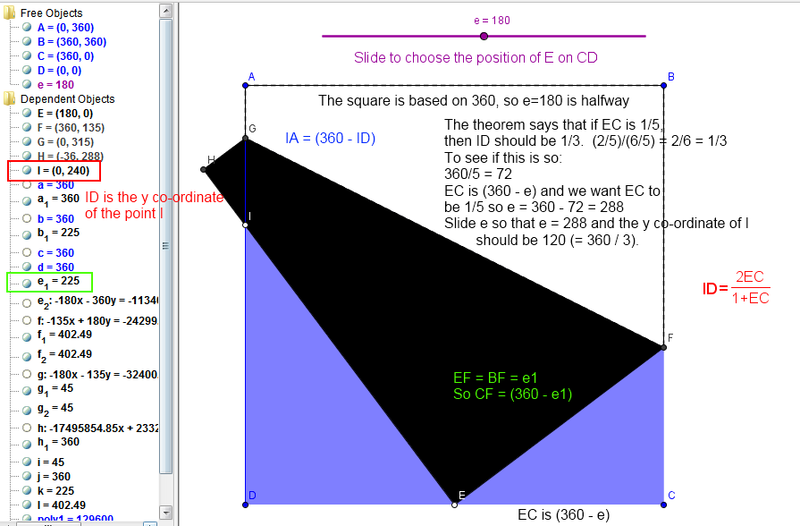 Haga’s First Theorem with constrained point on the square’s edge. Haga’s First Theorem with guidance for exploration. The history behind these is explained in this blog post. Since writing this, I have added a more ‘user-friendly’ version for exploring the theorem, but you’ll still need the calculator though! If you prefer, you can also use the dynamic worksheet online, which doesn’t require a download of GeoGebra.